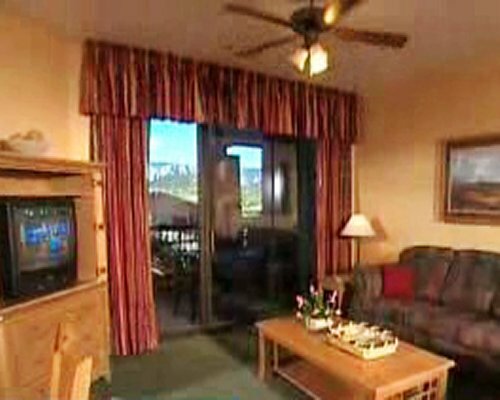 The resort offers complimentary wireless Internet service, as well as an Internet Kiosk in the activity center. 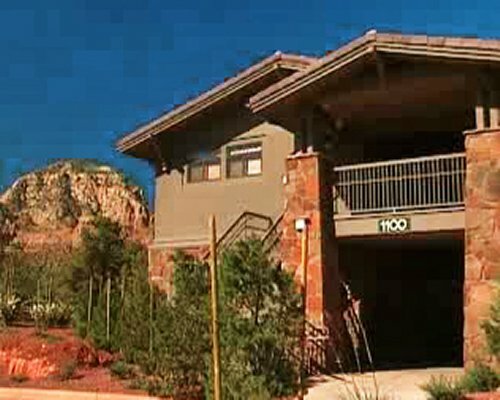 There is no parking on property for trailers, RV's or other large vehicles. 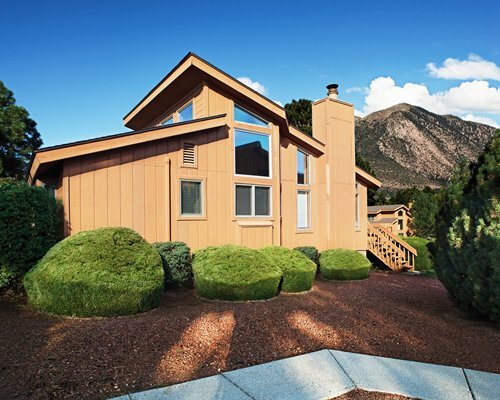 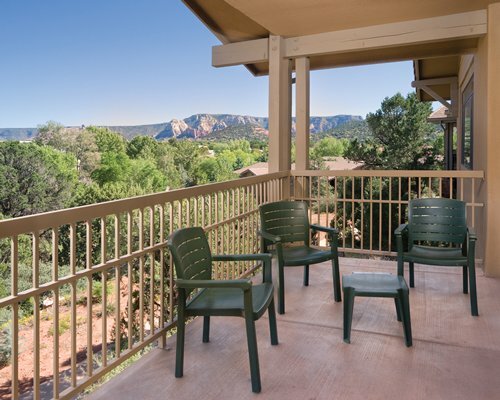 Enjoy the endless panoramic views! 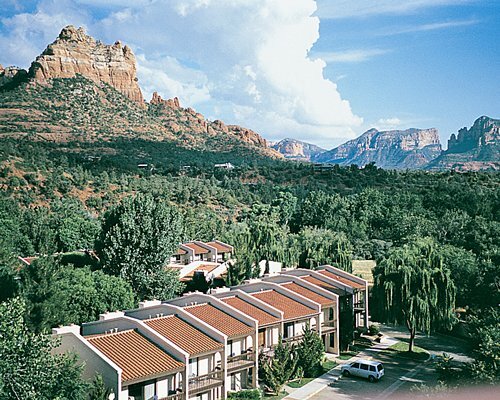 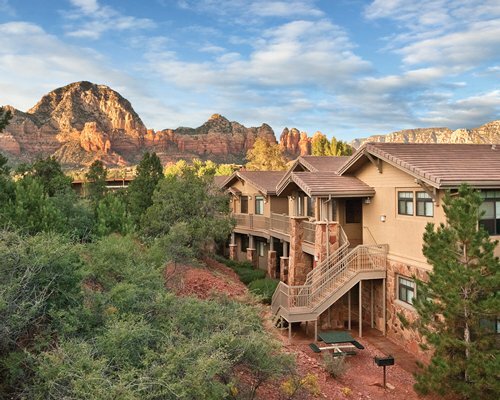 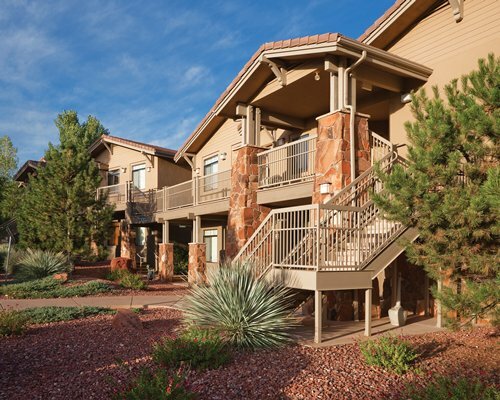 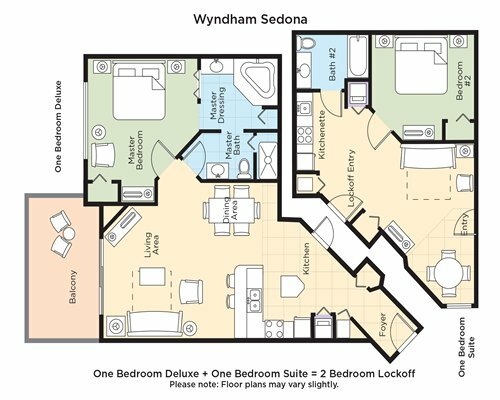 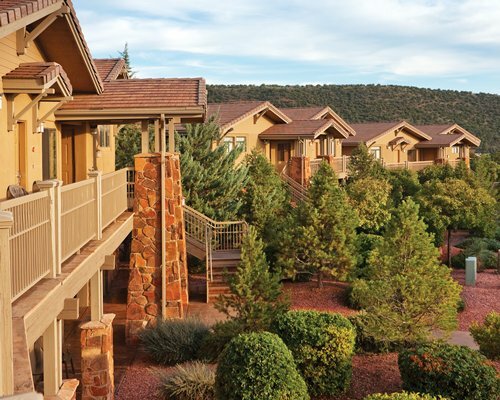 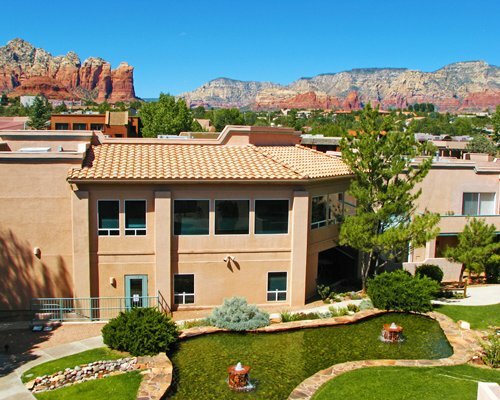 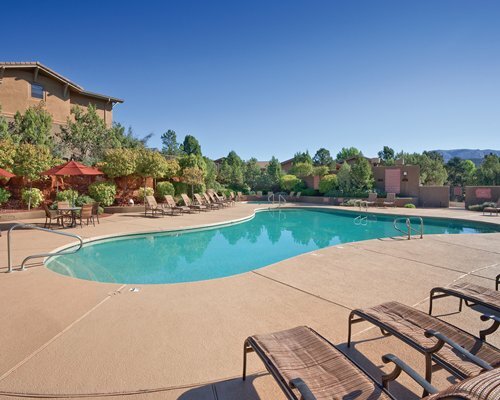 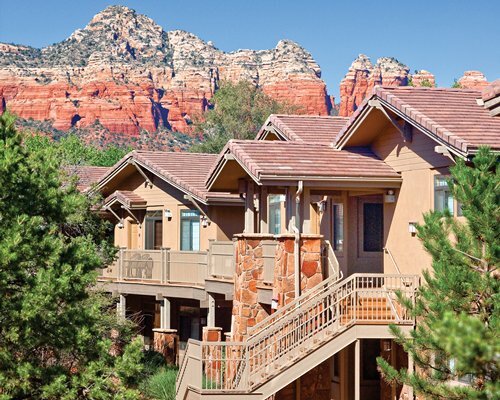 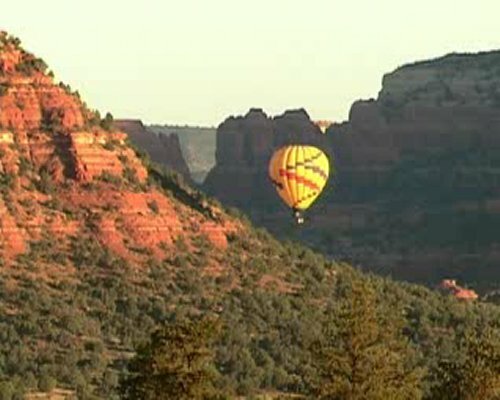 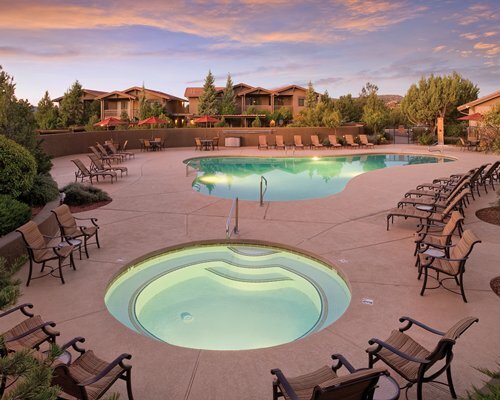 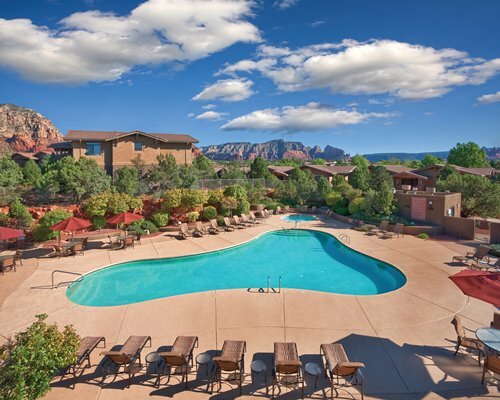 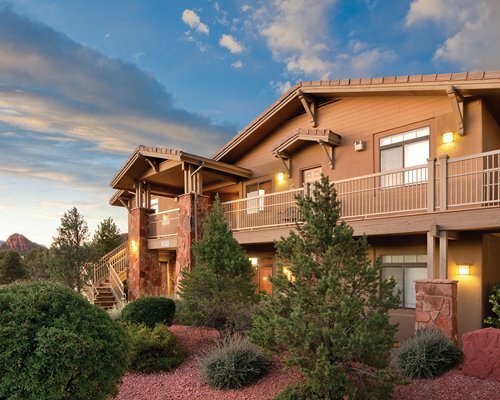 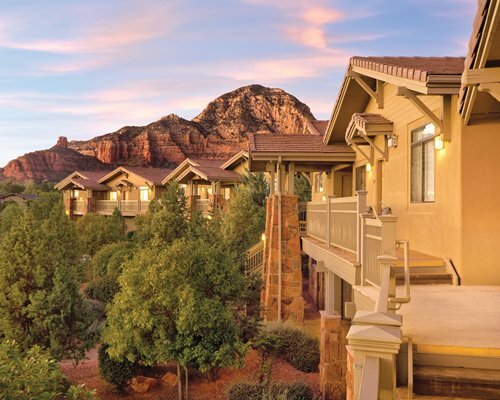 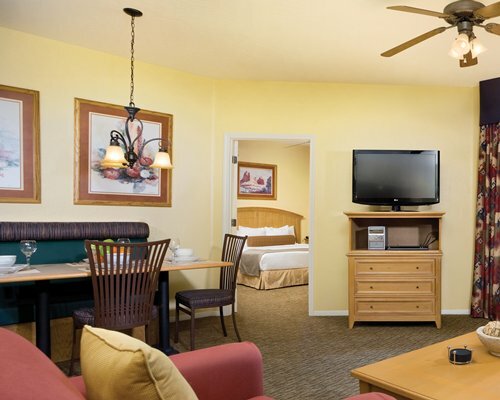 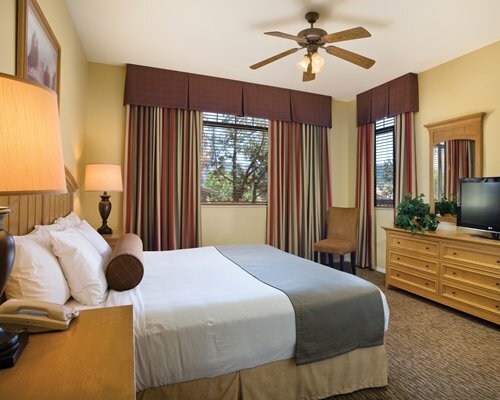 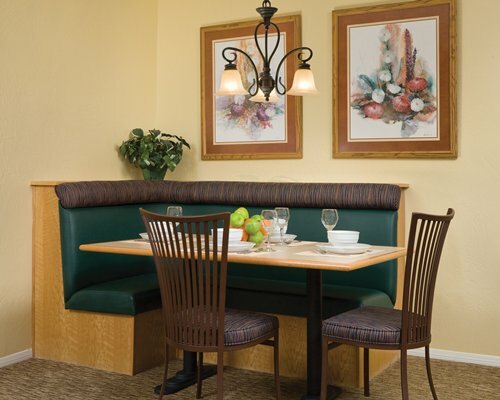 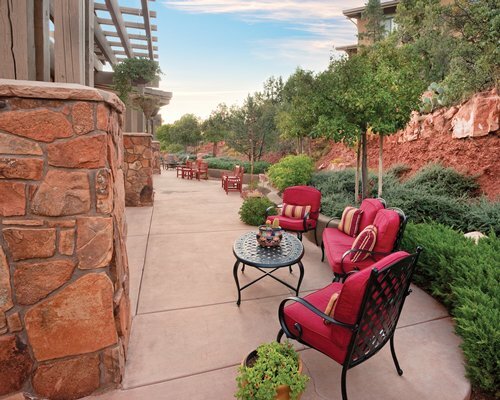 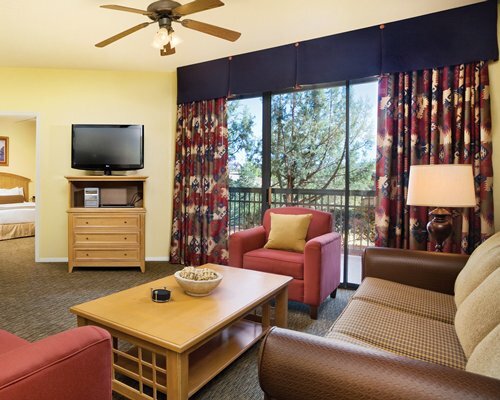 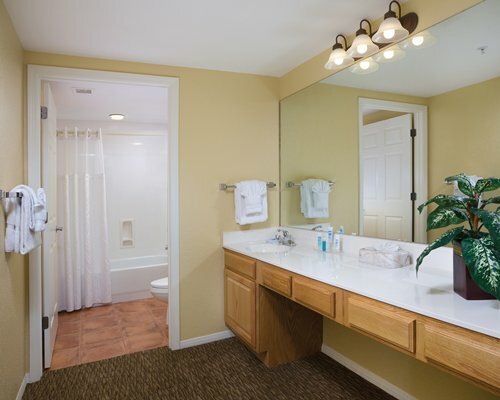 All units at Wyndham Sedona have a flat screen television, telephone, washer, dryer, air conditioning and wireless internet. 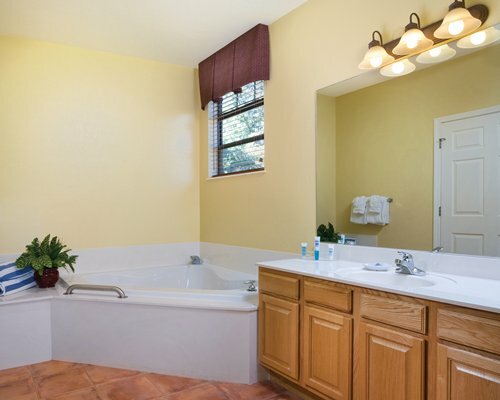 Some units have a Jacuzzi tub and a balcony or patio. 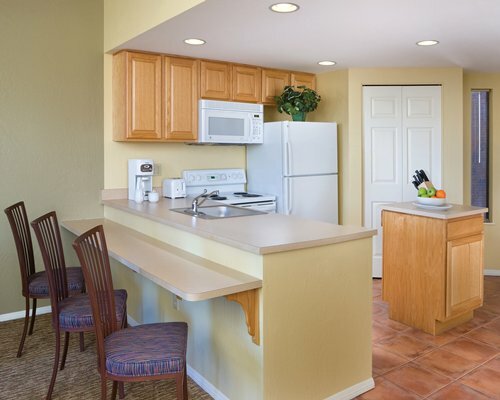 1BR units with mini kitchen are best suited for 2 adults and 2 small children. 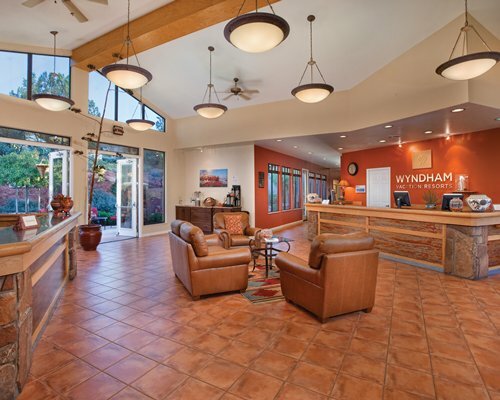 Credit card or debit card required at check-in. 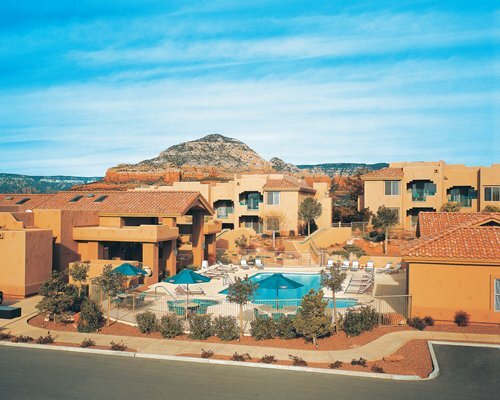 The resort has two-story buildings with units on first and second floors. 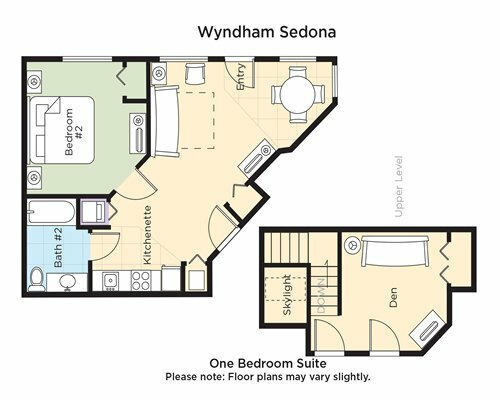 Second floor units are walk-up access by stairs only (no elevators). 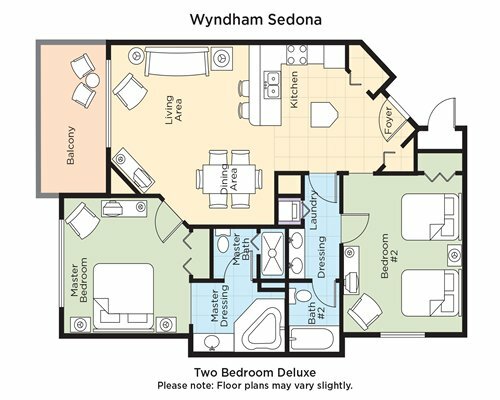 On-site construction or remodeling may disturb guests from October 1, 2018 to March 31, 2019. 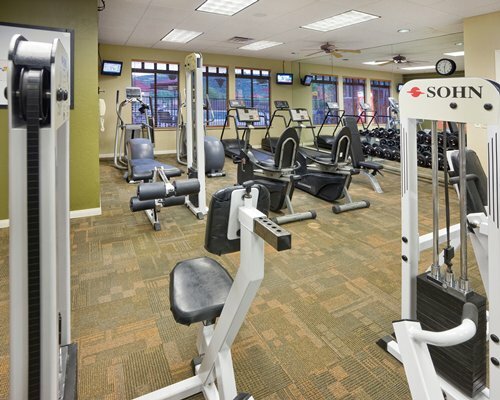 Noise, dust, odors and crew on-site may be experienced. 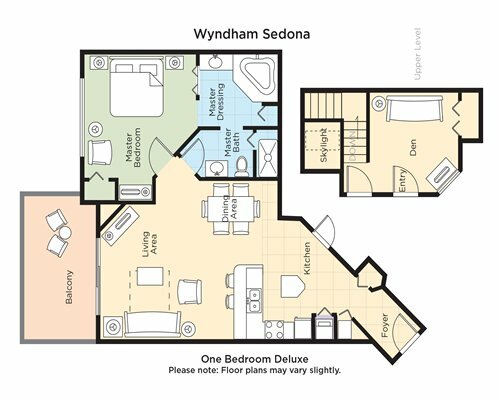 Dates are subject to change.